I have noticed a new trend amongst the natural hair scene which is apple cider vinegar rinses, which aren't new to alot of naturalistas, but brands have started to develop their own version of a classic staple in the natural hair community. I have never been a huge fan of the ACV rinse. It just never worked for me as many times as I tried. I wasn't a fan of the smell that sort of lingers in the hair and it is so much work to actually do, for someone like me who likes to keep their routine very easy and simple. If you are a fan of ACV rinses and want to cut the time of diluting it and all the other steps, the Apple Cider Vinegar Clarifying Rinse is a great alternative for that. 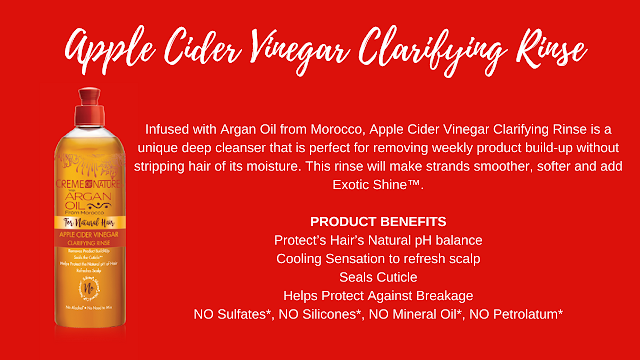 It didn't do amazing things for my hair as I previously stated ACV rinses aren't my thing, but if you love them, you will love this! Deep conditioning is a vital and important part of your natural hair routine. A great deep conditioner helps to strengthen the hair and add moisture. I deep condition on every hair wash as my hair has fine strands that can get delicate and weak at times. 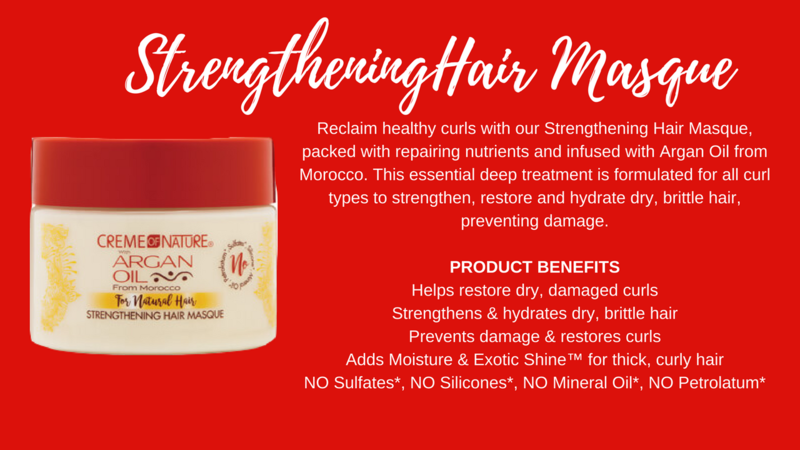 The Strengthening Hair Masque is a great DC to help repair the hair and add moisture back into it. It is thick and creamy, which I love and doesn't dry out your hair like some other DCs do. You can leave it on for 10 mins and have great results or use it with a hooded dryer and get a bit more juice into your strands. I would advise it for those seeking for a thick heavy DC for their hair as the creamy-ness helps to revitalise the hair and strengthen your strands. Now, when I saw this product I was a bit like....eh...SNOT??!! BUT..there are other products on the market that also carry this name, so it wasn't a huge surprise to me. The consistency of the Flexible Styling Snot is very thick,so a little goes a long way. I have read previous reviews of people having white flakes and residue using this product, but I think they used too much. When using this,make sure your hair is wet and any leave-in product (I used the buttermilk leave in) you use has been fully incorporated into the hair, otherwise you will get flakes. When applying this gel I smoothed it onto my hair, then finger coiled the ends to ensure maximum definition. My hair did dry very hard when using this gel, but that cast can be broken with a few drops of Argan oil to soften the hair up. The Flexible Styling Snot is great for wash n gos and styles that require hold. And finally the Perfect Edges Black. 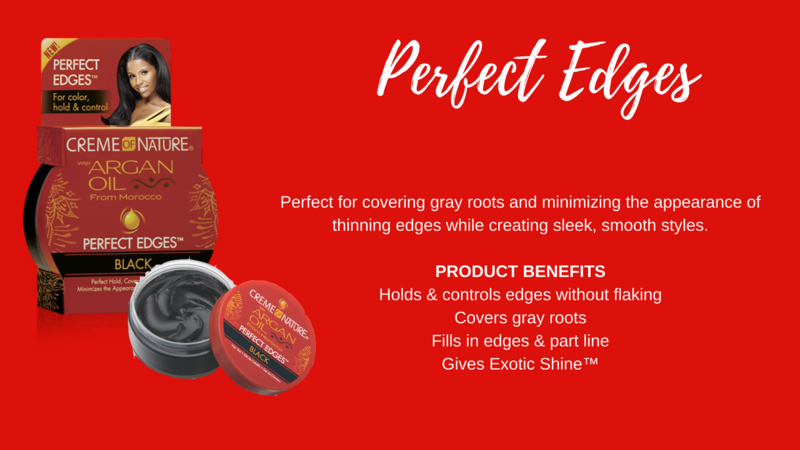 Now I didn't try this product, as I am not a huge fan of slicking down my edges all the time, but my mum loves it! She has acquired some grey hairs along her hairline that I dye every 3months and she likes to use this in-between dyes. It helps to slick down her edges and fly aways as well as disguise her grey hairs. As this product leaves a black deposit, only a little is needed. Overall these new products from Creme of Nature do what they claim to do and are great additions to the Argan Oil from Morocco collection. If you are a currently a fan of Creme of Nature products I would suggest trying them out as they do partner up well with the existing line. 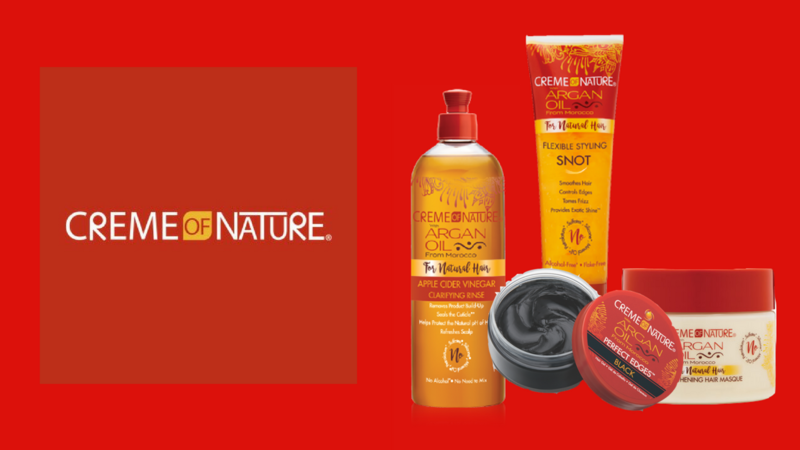 Have you tried any of the new Creme of Nature products? Do you currently use any Creme of Nature products?